I have never even attempted a marathon let alone BQ so take my words w a grain of salt. But I am in awe of the goal you set for yourself and the way that you planned and executed your training! Especially after having completed only 1 marathon prior to this! And your 16 min PR is a phenomenal sign that you've been doing the right things!! Just stay true to your goal, keep on your course, ask yourself the questions about what to tweak for next time, and I'm sure you will achieve your BQ goal!! It will become a matter of when, not if!! Great job Chris! Bravo on your accomplishments! Excellent post! Thank you Lisa. I can't thank you enough for taking the time to come out on a Saturday morning to cheer me on, that meant a lot. It was indeed a lofty goal but I'm not one for going after low hanging fruit and besides the journey is the fun part. I'm so appreciative of all the support I have received and it just proves how great the running community is. While I'm dissapointed by the outcome, it is by no means a failure. I've learned some things and will certainly take steps toward achieving this goal in the future. For now, though, it's time for some much needed rest, both physically and mentally. Again, I thank you and everyone else for the support you have given me. I hope you acheive your running goals and with any luck, Christine and I will be there to cheer you on! You gave it a solid fight but you didn't reach your "A" goal. You did get a big PR and I'm willing to bet that you learned a ton in those four hours. Once you get past the frustration you will see this as a victory. I appreciate all of the details that you posted here as I will be taking my first stab at a BQ run in just a couple of months. Rest up and find your next race! You'll get back to Boston soon enough and hopefully I'll see you there. Thank Bill and so very true. One thing I learned a long time ago is that you never really lose if you learn something from a setback. I'll be taking some time off but am also planning for my next attempt sometime in February. 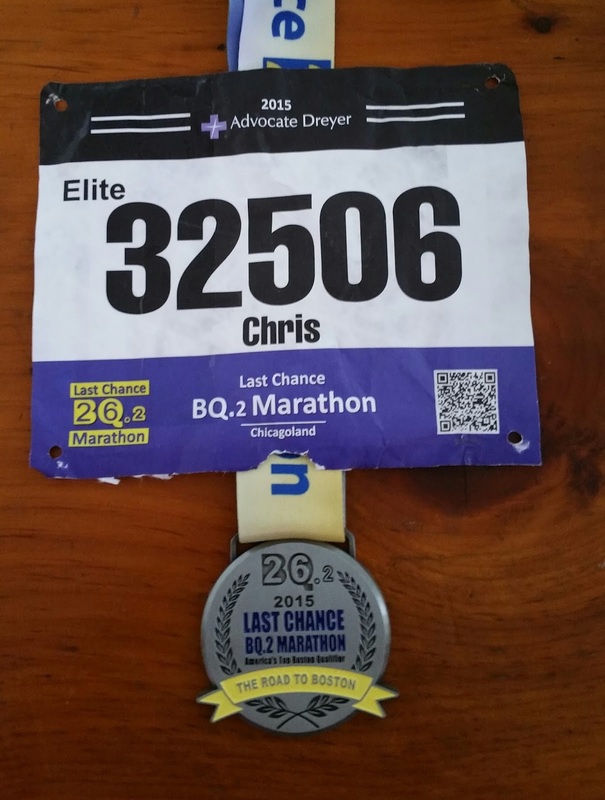 Good luck on you quest for a BQ and hopefully we will meet up there in 2017.